Preheat oven to 450 degrees. Clean and wrap beets in aluminum foil. 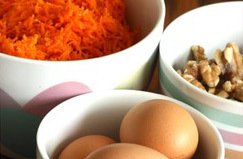 Roast them in the oven for about 45 minutes to an hour or until soft when pierced with a knife. Remove from oven to cool. Slice baguette on the diagonal and brush with extra virgin olive oil. Toast in the oven for 7 minutes or until just starting to crisp. Set aside. Once cooled, peel and chop the beets. In a large bowl add the beets and drizzle with orange infused extra virgin olive oil and a few tablespoons of honey. Toss with fresh cracked pepper and flaked sea salt. Slather the crostini with goat cheese, add a dab of olive tapenade, and a spoonful of beets. 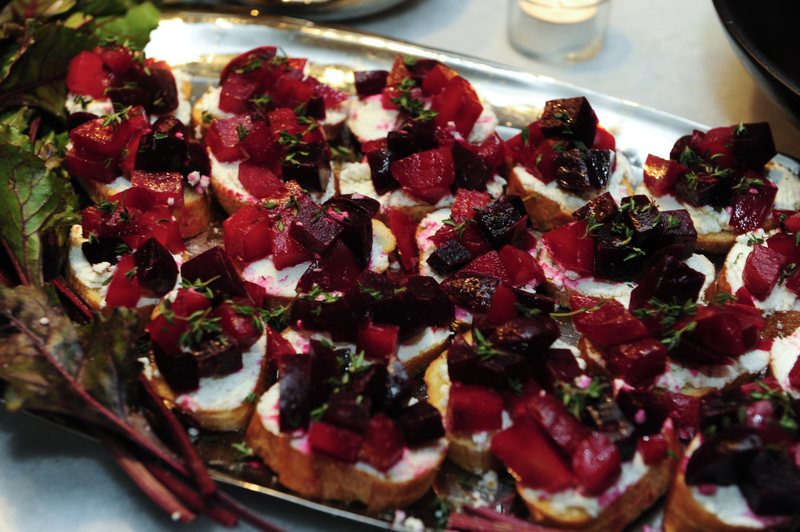 Sprinkle beet crostini with some fresh thyme leaves and voila! An appetizer to start off a delectable evening!